​Do you long to feel happier about your body? Maybe it feels as if the route to body satisfaction lies only in miserable diets or punishing exercise regimes. Or the impossible fantasy of just having different genes and starting over. These ‘solutions’ aren’t often sustainable or realistic. And if achieved, they can feel gruelling and bring feelings of deprivation, never rewarding you with the desired body acceptance. 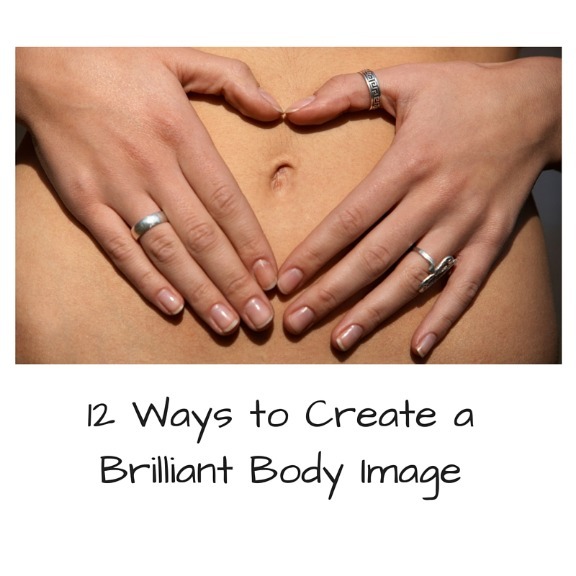 But what if there was a different way to genuinely create a healthier body image. Here’s how. Your body image is not based on fact, but rather your own perception. It is the way you think about your body. ‘My tummy sticks out; I have fat thighs’. It is how you feel about your body. ‘I’m not attractive compared to all my amazing friends’. If your thoughts and feelings about your body are consistently downbeat, how will you feel? BAD. ANXIOUS. UPSET. CROSS. Maybe? And are they really true? They may FEEL true. This does not make them a fact though. Every single day, thousands of thoughts flicker through your mind, many repetitive and with the potent ability to affect how you feel. If you are constantly berating yourself, you will feel deflated and judged. So take a BIG step back and begin to observe your thoughts. Start to question them. Would you talk to a friend like this? By starting to develop a kinder and more compassionate mind, this is going to help you feel infinitely better. In ten years time you might give your right hand for the body you have today. Hopefully, you are fortunate enough to be able to run for that bus and touch your toes; to move independently and enjoy the feeling of physical movement. Focus less on aesthetics and appreciate what your body can do for you. If you are an Instagram stalker of seemingly perfect health-guru bodies; or if you constantly compare yourself to airbrushed and manipulated pictures, then you are not giving yourself a fair comparison. No-one is going to post a photo when they have just rolled out of bed or wearing their holey old pyjamas. If you are always jumping on and off the weighing scales to attain an instant calibration of your self-worth, guess what will dominate your thoughts. Your weight is not your worth. Use weighing scales occasionally but do not make them your master. There is nothing more likely to bring on a ‘fat attack’ than looking at your friend’s salad whilst concluding that you are ‘the weak willed unhealthy one’ as you choose the sandwich. Stop worrying about what others are eating and think about what your body needs. Listen and respect it. If you are hungry, feed your body. If not, give it whatever else it needs. When you look in the mirror, what do you see? Do you view your whole and celebrate your curves, your beautiful eyes or your glossy hair? Or do you spend the majority of time scrutinising and prodding your stomach? See yourself as a whole, not just in terms of the body parts you dislike. Luxury bubble baths, creamy moisturiser, painting your nails, relaxation, movement and stretching. Eat nourishing and tasty foods. If you desire cake, have the cake. Sit down and enjoy every mouthful, without guilt. Moving your body brings improved emotional and physical well-being. Exercise for joy and movement. It doesn’t need to be a slog or something that becomes a punishment or compensation for eating. Often our body image perceptions can be deep-rooted. For example, even if you are a healthy weight now but were bullied about your size as a child you might still ‘feel fat’, which will undeniably affect your confidence. Question and shake off the old labels. 11. FOCUS ON WHAT YOU CAN CHANGE. You can have fabulous shiny hair and a super stylish haircut. You can wear make-up to enhance your features. You can wear clothes that express your own style and flatter your body shape. You can smile. You can have a positive outlook. If your body image has been gloomy for a while, you are going to have to invest time into turning this around. It is worth every ounce of effort though and you will reap the benefits through improved self-confidence and self-esteem. Want to improve your body image and relationship with food? Do get in touch if you would like to work with me. I really look forward to hearing from you. Thank you, this is actually very helpful.